J. A. Baker is also the author of The Hill of Summer. He was a native of Essex, England. Robert Macfarlane’s Mountains of the Mind (2003), about wilderness and the Western imagination, won the Somerset Maugham Award and the Guardian First Book Award, among other prizes. "A powerful evocation of East Anglia’s winter landscape, and an unforgettable portrait of a man’s passionate engagement with the natural world." "The Peregrine should be known as one of the finest works on nature ever written…His words—precise, lyrical and intensely felt—seem to have been selected as if their author were under huge pressure, both from the depth of his feelings for the bird and the weight of experience he wished to impart…The only sadness about The Peregrine is that its author is no longer with us to be honoured afresh for his achievement." 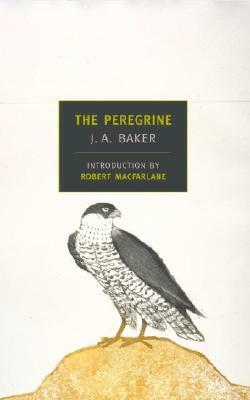 "A nature study such as Mr. Baker has presented—not by any means restricted to the peregrine falcon—deserves warm praise for the remarkable perseverance and patience which has gone into its making, and when the observer is a gifted writer, as in the present instance, the result is even more gratifying." "The Peregrine is one of the most beautifully written, carefully observed and evocative wildlife accounts I have ever read. Mr. Baker’s patience, his discriminating and unsentimental eye, and his passionate deliberations are utterly captivating." "This book goes altogether outside the bird book into something less naïve, into literature, into a kind of universal rapport…"
"…one need not know a hawk from a handsaw to take pleasure and profit from the book. It is an account by a curious, complicated man of a curious, complicated phenomenon, that will involve, instruct and excite a reader who can never hope and may never want to share the writer’s experience." "Mr. Baker is primarily a descriptive writer, and a good one, but his obsession has given him a kind of crazy empathy that lifts his book above mere observation."